Bliss on Tap Publishing: But Like Maybe? nominated for Instagrammer of the Year by the Shorty Awards! But Like Maybe? nominated for Instagrammer of the Year by the Shorty Awards! Arianna Margulis makes, like, hand-drawn toons about life and stuff. Under the name @butlikemaybe, her hilarious, hand drawn comics have gained 155K+ Instagram followers and a feature article in the September 2017 issue of The New Yorker, which praised her “Jaundiced View of Modern Womanhood.” Arianna started posting her simple-yet-ingenious sketches a few years back, after a boyfriend broke up with her and she decided to draw out her frustrations in Sharpie and Instagram snapshots of them. Her unique blend of self-deprecation, self-appreciation, and equal love for coffee, tequila, and vodka (even partnering with Smirnoff) speaks to so many other women wending their way through the modern world, bringing delight despite the difficulties. The Shorty Awards honor the best of social media. Millions of people participate in The Shortys to recognize individuals and organizations producing great content on Twitter, Facebook, Tumblr, YouTube, Snapchat, Instagram, YouNow, Musical.ly, and the rest of the social web. "[Bliss on Tap] comes with a serious animation pedigree." "Amazing storytelling with even more amazing art work." "...if even ten percent of the comics that come out this year are one bit as fascinating as God the Dyslexic Dog then this industry just might survive." 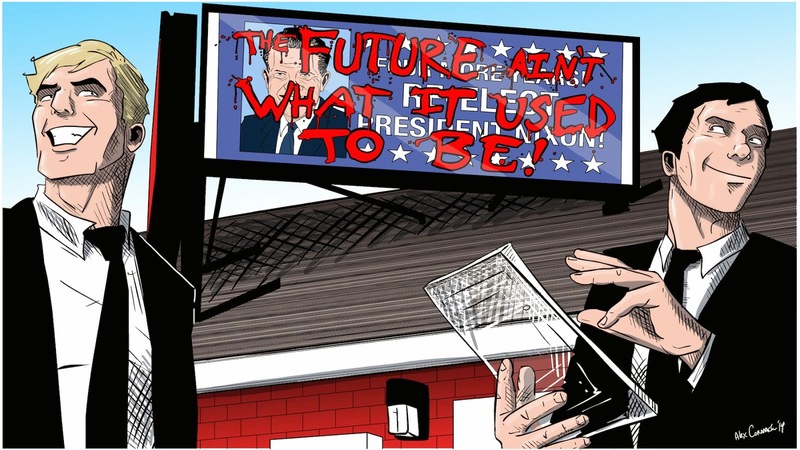 "The characters are fun, there is a fantastic balance of “fact” to fiction, and the Future Proof creative team does a wonderful job of creating a new and original take on some of our most infamous conspiratorial events. Finally, a series that does the conspiracy theory genre justice! Having had the opportunity to read the first two issues, I can say without a doubt that if you are a fan of the X-Files or any of the numerous shows that have aired in the last few years that take on some of society’s greatest mysteries then this is a comic series you will not want to pass up!" "God the Dyslexic Dog. Just the name alone is worth your attention...a great example of why comics are awesome, why it's an important medium, and why I'm proud to be part of said medium!" "Some of the most beautiful work in comics today. I highly advise picking up every single issue this team publishes. You'll be missing out if you don't." "If theology, the belief of divinity in animals and a good head scratcher are what keep you engaged, then order God the Dyslexic Dog today." The future ain't what it used to be! Bliss on Tap Publishing, 2004 - 2017. A comic book company for the 21st century. Picture Window theme. Powered by Blogger.